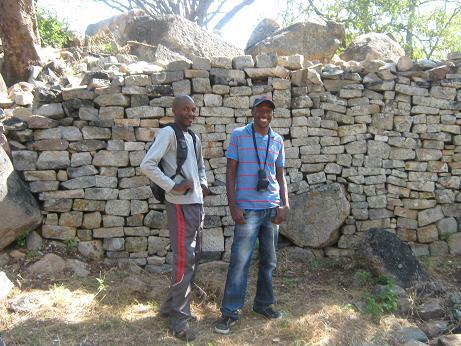 I visited the Domboshaba ruins in 2009 and it was really interesting to learn about the culture and history of the Bakalanga tribe. 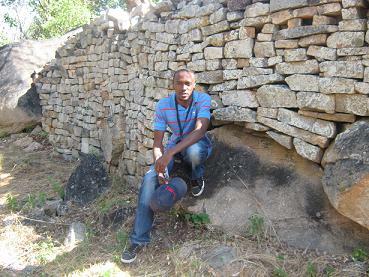 The trip was really emotional for me because I am from the Kalanga tribe in Botswana. On this page I’m going to share what I learned and discovered during the trip to this great historical place. The first interesting thing I discovered when I arrived is that Domboshaba is Shona (Shona is a language from Zimbabwe by the Shoba people). When loosely translated to English, Domboshaba means "trading hill”. 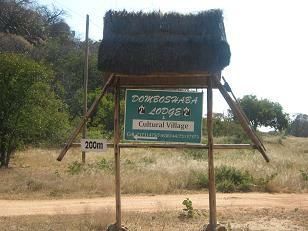 "Dombo" means hill in Shona and in iKalanga....and "shaba" in Shona means a market or an area of trade. 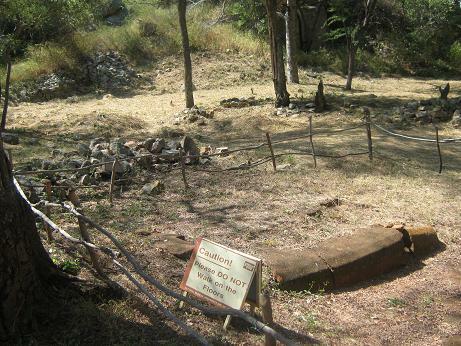 The artifacts and crafts found at the ruins also indicate that indeed the Domboshaba hills were an area of trade. Some of these artifacts include gold, copper, ivory, porcelain from China and India, pottery and bones (of both humans and animals). 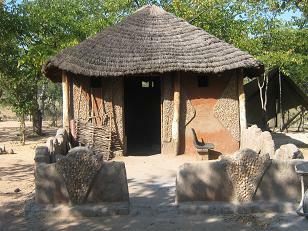 However most of these artifacts have been taken to the national museum in Gaborone for preservation purposes. 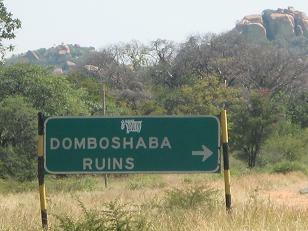 "..The Domboshaba ruins can be found among the Domboshaba Hills. 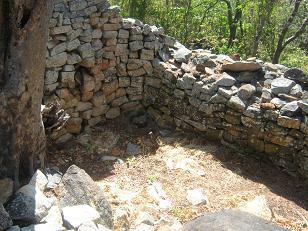 These ruins are believed to have been a court and residence of an important chief who ruled the district on behalf of the Great Zimbabwe.."
"..They are also believed to have served as one of the administration centers of the old Zimbabwe State..."
"..The ruins date back to the 15th century AD "
"…his wives were showered with gifts regularly by members of the tribe"
The ruins are open every day of the week from 8am to 5pm. If you visit there should be guides to assist you. These guides are also the caretakers of the ruins. They make sure there isn’t any vandalizing and also give tours that will give you an overview of the ruins. 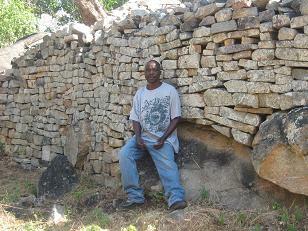 Below is a photo of Foster Motshola, he was my tour guide when i visited the Domboshaba ruins. When you visit, there may not be a guide at the area, in that case, follow the signs and the trails. When I registered in the guest book during my visit, I noticed that the site is visited by people from all over the world. The guest book was filled with visitors from Germany, France, Italy, United States, Australia, India and many other countries. Foster, the tour guide and custodian, told me that most of the visits are from tourists and many others for educational purposes. 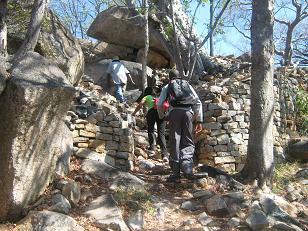 The ruins are located a few kilometers from the Masunga town. If you are driving from Francistown, the best way to get to the ruins is to take the Francistown -> Maun road; and along that road turn right at the Sebina junction. Then drive to Sebina and follow the signs to Masunga town. 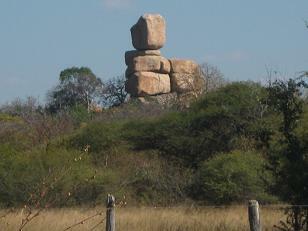 Since the ruins are outdoors, many of the delicate artifacts that were found there were taken to the National Museum in Gaborone for preservation. Besides the ruins, the area is also great to visit because of the vegetation, the birds and small animals like squirrels that liven up the place. You can also enjoy the beautiful views of the surrounding villages and hills. 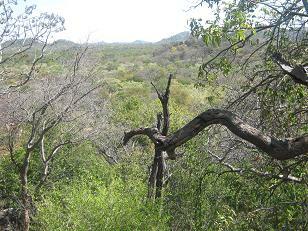 The ruins are among the Domboshaba hills, therefore there are other hills that surround the ruins. 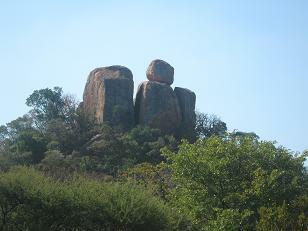 These surrounding hills were also used by the ancient people of Domboshaba. One of the hills located in the village of Mantenge was used as a water source since it contains a well that has permanent water. 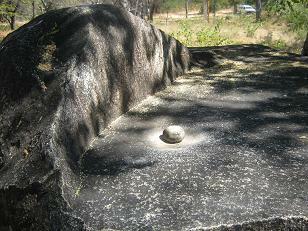 Another source of water was the Vukwi river which is close to the ruins on the way to Masunga. Food is believed to have been stored in Kalakamati since there are stone food storage's that have been discovered in the village of Kalakamati which isn’t very far from the Ruins. When you visit the ruins, there are several options of accommodation. 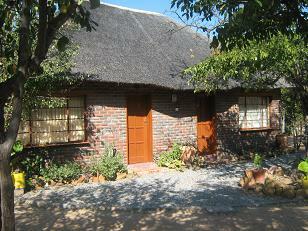 You could stay at the Domboshaba lodge which is located across the road from the ruins. ...If you are really adventurous then you might prefer camping. There is a campsite in the area, I’m not too sure if there are ablution blocks though; so if you really want to stay close by the ruins then I would recommend you stay at the lodge. The great thing about staying at the lodge is that they also do tours of the ruins and there is also a cultural village at the lodge. 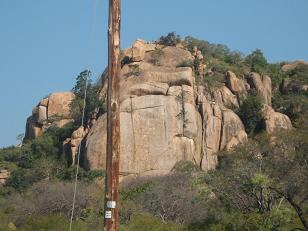 Alternatively you could stay at Francistown, which is about an hour drive away.